Please note, this article was published in 2015. Stripe, Squarespace’s credit card processor still does not allow for alcohol sales, and most early websites that used Squarespace were selling wine against the policies of their credit card processor – which is risky. However, there are now a number of ways to connect Squarespace to an external store (we are big fans of the Squarespace + OrderPort integration. Here at Lunabean Media, we have even worked out a deal with Stripe for our winery clients, so they can, in fact, sell wine in a Squarespace store. But don’t risk doing it on your own, or trusting a web designer who does it for you without appropriate documentation. As web designers, we are big fans of Squarespace. Their clean designs and super easy to build system makes it so we can pump out websites quickly and charge our clients less money. Win – win, right? Well, not necessarily. You can’t sell wine through your Squarespace site. See, Squarespace eCommerce option uses Stripe to run any and all credit card transactions, and Stripe doesn’t allow for alcohol sales, as it doesn’t allow for sales of “age restricted goods or services”. 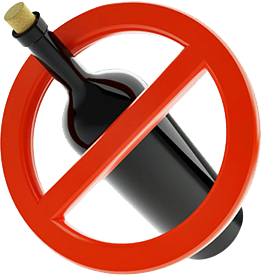 If you were looking to sell wine online, we wouldn’t be able to provide our service, as our financial partners impose some fairly strict limitations on the type of businesses we can work with, and alcohol sales are on the list of excluded businesses. To be clear, this is not because there’s a problem with your business. A few bad actors in the sector can unfortunately result in our financial partners being unwilling to accept the risk of providing credit services to this category of business. I’m sorry we can’t do better for you, and wish you great success! Now, we have seen a few Squarespace wine stores pop up recently, despite the fact that the policy remains the same. We have concerns about what happens to these wineries when/if Stripe becomes aware of the transactions. Maybe nothing will happen – but we don’t want our clients to be the ones who find out. For now, we will continue to advise our clients to stay away from Squarespace’s eCommerce option until the rules change. If they are stuck on Squarespace (which is fine, they are pretty sites), linking to an external store, or adding an order form to the site will have to do the job…for now.